Carrot Noodle Soup with Shredded Chicken | Simple. Tasty. Good. I love this shredded chicken and carrot noodle soup! The KitchenAid Spiralizer attachment for my stand mixer mini is a fascinating tool. First day I got it, I just attached whatever fruit or vegetable I could find in my fridge and pantry. Set the speed and see what would happen. Fun thing to watch! Sure you can’t slice or grate just anything. 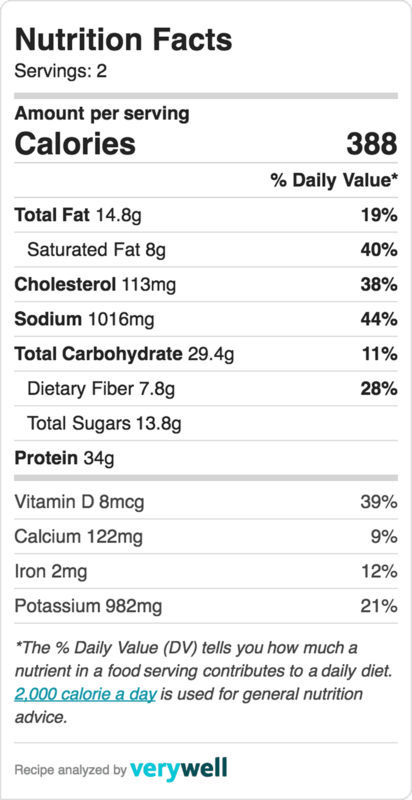 Stick to vegetable such as beets, carrots, potatoes and zucchini for instance. Tomatoes are also a bit of a disaster because they are too soft. I’ll be trying out kiwifruit and dragonfruit next week! I kept it very simple for my chicken soup below: carrot noodles are a creative addition to soups, salads and stir fries. Enough recipe ideas to keep me going for a while! Check out another recipe that I made using the Spiralizer: my zucchini noodle soup with miso and bacon! 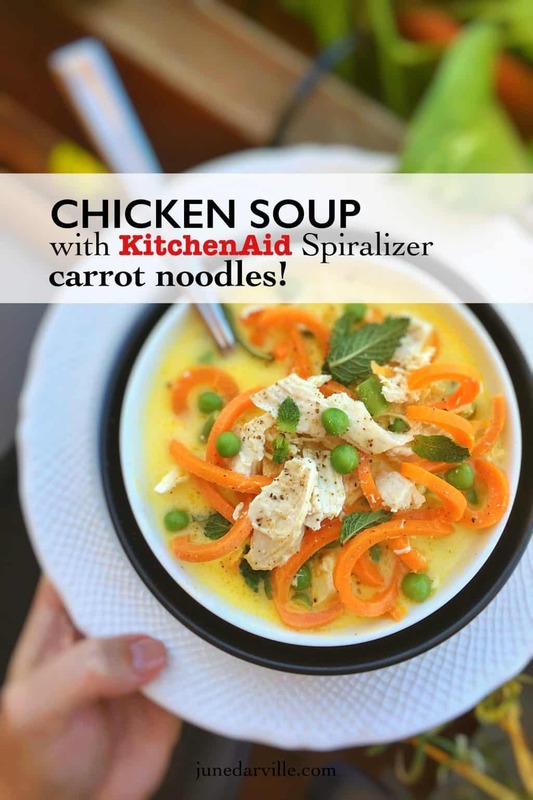 Watch my video of how I'm preparing a creamy chicken and carrot noodle soup using my fabulous KitchenAid stand mixer Spiralizer and Cook Processor! Attach the carrots onto the vegetable skewer of your spiralizer. Trim the carrot if it is too large. Place a large bowl underneath it. Set the speed to 4. Once the first carrot is cut, turn off the speed and remove what’s left of the carrot. Attach another carrot and start again. Add the butter, bay leaf and the carrot noodles to the bowl of the Cook Processor fitted with the StirAssist. Close the bowl. Select BOIL P2 and press Start to activate Step 1. Pour in the chicken stock and add the pulled chicken as well. Season with pepper, a pinch of garlic powder and salt. Add the heavy cream. Close the bowl and press Start to activate Step 2. Once the program is finished, press cancel to exit the keep warm mode. Add the thawed peas and close the bowl. Let the peas thaw in the hot soup. Check the seasoning and add extra pepper or salt to taste if necessary. Take the pan off the heat and scoop the soup into bowls.